Our kiosks can be tailored for a variety of applications, designed to meet the needs of your market. They can make a great visual impression on customers, with a robust construction built for heavy daily usage. We have a large range of DDA compliant kiosks for your business, which are easily accessible to all users. With the technological landscape constantly evolving, Cammax is right at the forefront of kiosk innovation and we take great pride in our ability to deliver outstanding products unrivalled by anyone in our industry. Our specialist team of engineers and software developers combine all their skills and expertise to deliver intuitive, stylish and reliable kiosks that can be adapted to serve a variety of different applications and marketplaces. Robust, streamlined and intuitive, our outdoor kiosks have been expertly developed to withstand all weather conditions and they really are ‘built to last’. Ideal as touch screen information points, SMART ticketing systems or queue busting machines, our outdoor kiosks boast hundreds of configurable options and they can be tailored to suit all requirements and locations. Popular outdoor units like the Cammax Cirrus model are manufactured with 6mm toughened glass to ensure the kiosk screen is vandal proof and safe to install in a variety of unsupervised venues. Cammax’s market-leading outdoor SMART ticketing machine can also be tailored to incorporate the very latest technology with options for ITSO/SMART card loading and contactless payment available. Elegant, distinct and designed to withstand heavy usage, our wide range of freestanding kiosk machines provide the perfect combination of form and function. 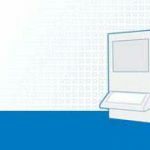 Where both cash and card payment methods are essential requirements, freestanding models like the Cammax fast track payment kiosk provide a full payment solution that is easy to manage and built with long-term performance in mind. All of our freestanding models are manufactured with DDA compliance in mind and can be fitted with optional peripherals including barcode scanners and thermal printers. When physical space is at a premium Cammax wall mounted kiosks provide a great alternative to larger freestanding models. Tough, adaptable and compact, our wall mounted machines are small but beautifully formed and serve as ideal digital display boards, interactive information points or indoor/outdoor ticketing systems. Cost-effective and flexible, wall mounted models are perfectly suited to public sector environments such as council buildings, schools and NHS organisations. Popular wall-mounted models like the Cammax GP3 are designed with an interchangeable front panel which enables the kiosk to be fitted with a wide range of hardware accessories. 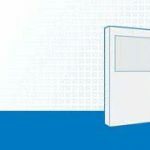 Not only does this measure provide valuable versatility, but it also makes the kiosk future proofed, should your requirements change to reflect the shifting needs of your business. Cammax SMART ticketing kiosks help simplify and expedite the ticket purchasing process by making each transaction faster, keeping lines shorter, and allowing a higher volume of turnaround. Cammax ITSO SMART Ticketing kiosks have been deployed by transport executives across the country and have been proven to increase customer satisfaction and lower transaction costs. Cammax deliver a number of payment self-service solutions to a range of industries including councils, NHS and parking. From wall mounted options through to outdoor floor standing machines, payment kiosks can be configured to offer one or all of the following: contactless, chip and pin, receipt printing and change dispensing. 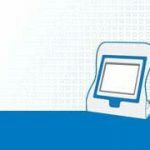 For the NHS, prescription payment kiosks have been developed to help A&E departments capture thousands of pounds in lost revenue by taking payment for prescriptions when they previously would have been issued free of charge. In the parking industry, Cammax now offers many innovative types of payment machines that enable drivers to pay for their parking in new and alternative ways. Many different sectors including healthcare, hospitality, leisure and travel can now reap the benefits of automated self check-in kiosks. 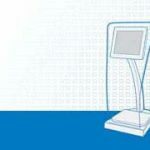 Cammax self check-in kiosks provide customers with a quick and easy alternative to queuing up which in turn frees up staff who then have more time to focus on more important tasks. Whilst our standard kiosk models offer many of the configurations required for most applications, Cammax provide multiple self- service platforms which cater for the new digital age, including mobile, handheld and web to ensure that our suite of products can be tailored to as many client requirements as possible. This approach allows our customers to benefit from reduced development costs whilst obtaining a system that meets their exact needs, rather than being shoehorned into purchasing a massively expensive system that only achieves 80% of functional requirements. Working closely with our customers, we provide a complete end-to-end service that includes design, development, delivery and installation. For added peace of mind and protection, we offer on-going support and comprehensive maintenance packages as well as remote monitoring. As part of our bespoke offering, our touch screen kiosks can be tailored to integrate several hardware peripheral options such as scanners and printers and all of our kiosks can be fully colour-customized to reflect your branding.